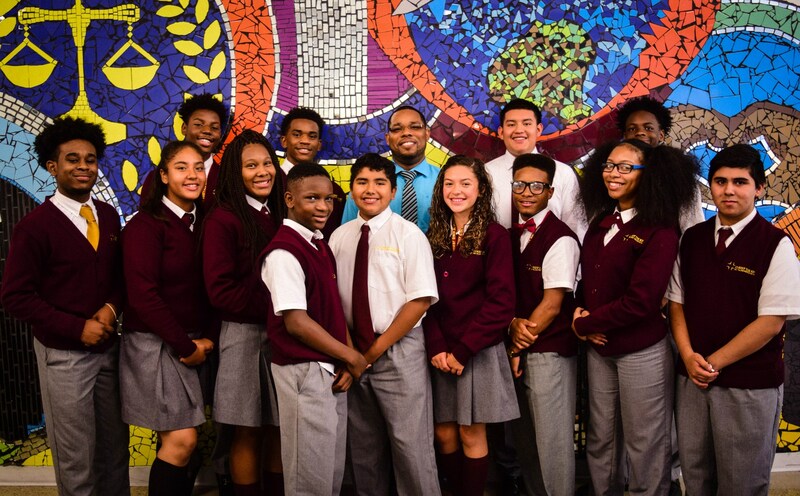 Christ the King is committed to making a rigorous, Jesuit, college prep education affordable for every student, regardless of a family’s ability to pay. While it costs approximately $16,200 to educate each CTK student this school year, our families pay an average of $1,200 toward the full cost of education thanks to generous scholarship assistance. Apply for the Illinois Tax Credit Scholarship Program for the opportunity to attend CTK tuition-free. Based on that information, CTK applies scholarship funds on an individual family basis to cover the difference between the full cost of education and the amount it determines each family can pay. Scholarship funds are derived from a variety of sources, including the Corporate Work Study Program, third-party scholarships, state tax credit scholarship programs, donor-supported fundraising and foundation grants. After applying scholarship funds based on individual family circumstances for the 2017-2018 school year, every CTK family is paying between $50 and $260 per month for their student’s education.